Be enthralled by the first three books in the Scandalous Seasons series! 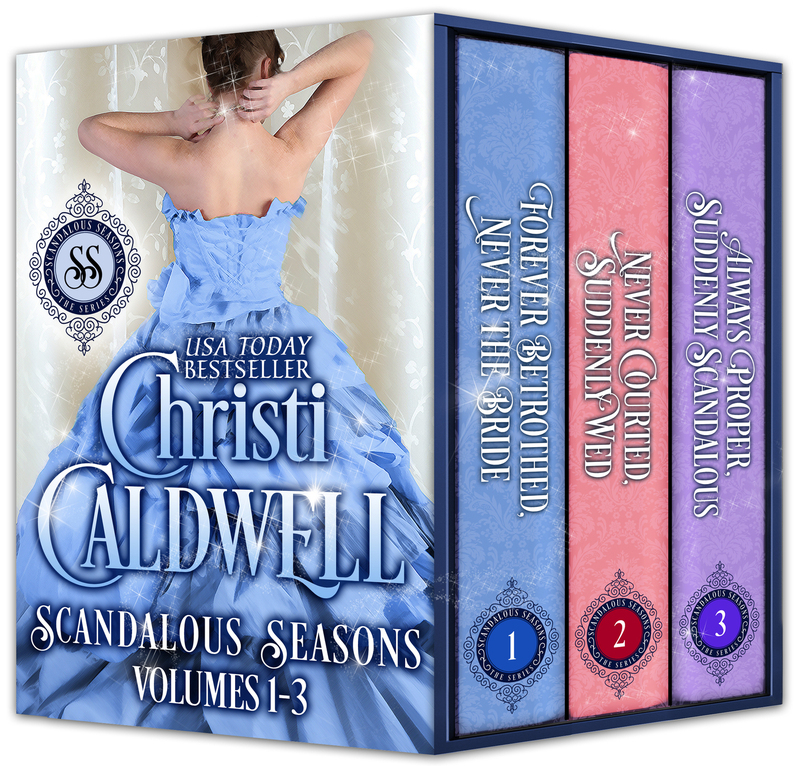 Be enthralled by the first three books in the Scandalous Seasons series! Including, USA Today bestseller, "Forever Betrothed, Never the Bride"! "Forever Betrothed, Never the Bride"
Hopeless romantic, Lady Emmaline Fitzhugh, is tired of sitting with the wallflowers, waiting for her betrothed, Lord Drake to come to his senses and marry her. When Emmaline reads one too many reports of his scandalous liaisons in the gossip rags, she takes matters into her own hands. Christopher Ansley, Earl of Waxham, has constructed a perfect image for the ton--the ladies love him and his company is desired by all. Only two people know the truth about Waxham’s secret. Unfortunately, one of them is Miss Sophie Winters whom he's known since she was in leading strings. She is the woman his father would see him wed. And the lady he wants to avoid at all costs.